IP Address. IP address assigned to a given interface. Netmask. 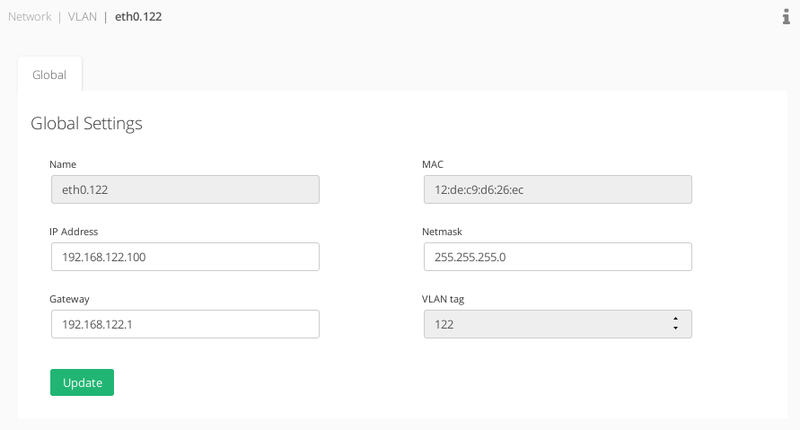 Network mask assigned to the VLAN. Gateway. Default gateway used by the VLAN. To apply the changes click on the Update button. When the configuration is updated the VLAN interface is brought up.